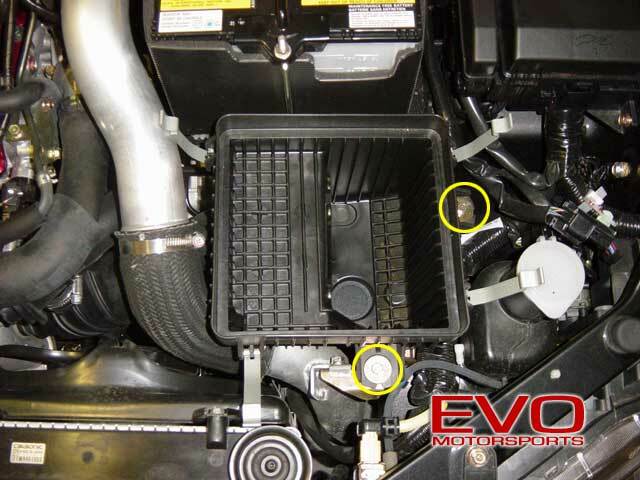 One of the basic mods for increasing power to any car is opening the air flow into the engine by replacing the stock air box with an open element air filter. 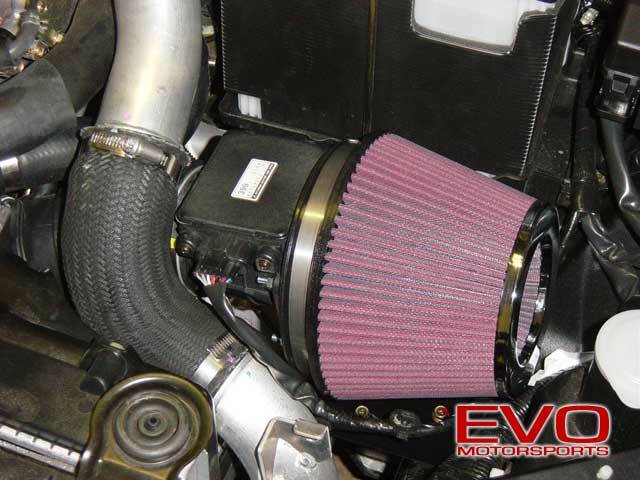 The following installation is of the RMR air filter kit. RMR includes their own instructions, however, our version includes a "short cut" and does not require the removal of the IC piping. If in doubt, always follow the instructions supplied with your products. 1. Disconnect the negative (-) battery cable. Since we will be removing the harness for the MAS (mass air sensor), this is a safety precaution. 2. 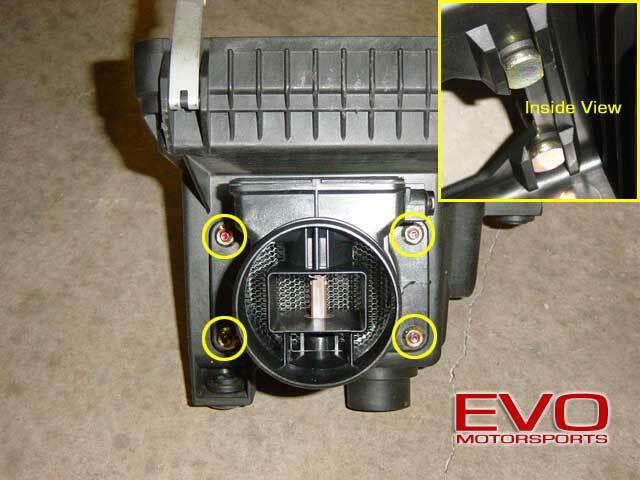 Remove the factory intake scoop by removing the two (2) poppet fasteners. TECH TIP: Instead of trying to pop the shaft up, push it in carefully until it snaps once (see insert). Pushing too hard will send the shaft right out the bottom of the fastener, so push only until it snaps once, then pull the entire assembly straight up. 3. 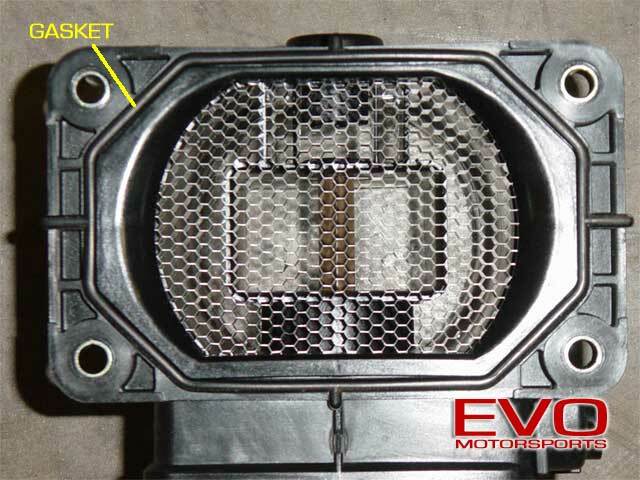 Remove the scoop by simply pulling it out of the air box. 4. Undo the four (4) snaps holding the air filter box cover on. Remove the air filter box top and remove the air filter. 5. Remove the two (2) 10mm bolts holding the lower filter box to the frame/bracket. 6. 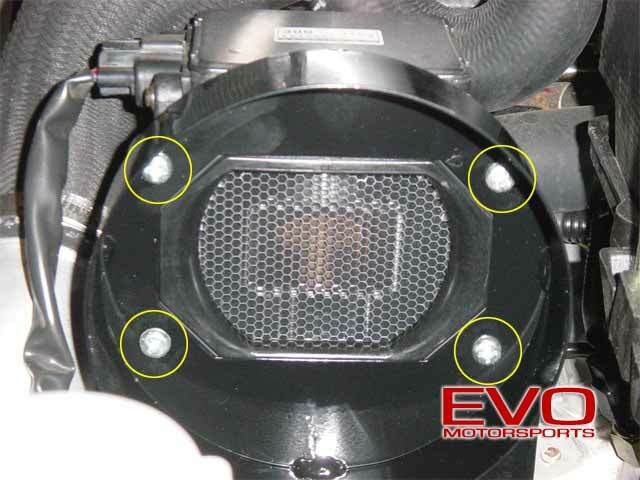 This is where our install deviates from RMR's instructions provided with the kit. Instead of removing the IC piping from the throttle body to near the radiator, we simply loosen the clamp holding the MAS to the intake hose. If your clamp is facing a different direction, you may need to remove the IC piping to reach it. In our case, a 10mm socket on a universal joint worked just fine. A short Phillips would have worked equally well. 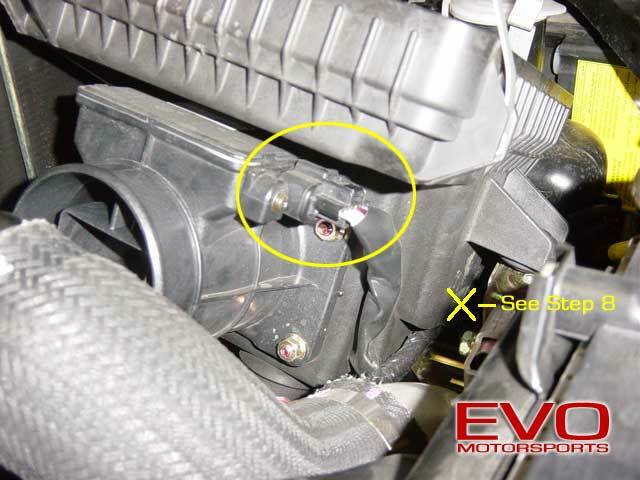 The clamp in question is located on the inlet hose directly between the air filter box and the IC piping as shown in the picture. 7. 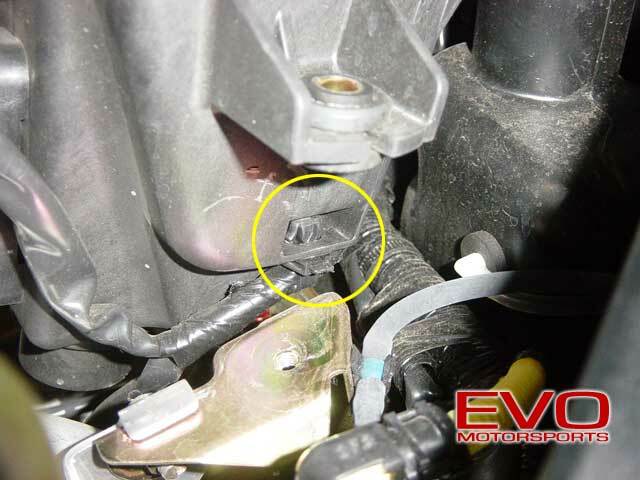 With the clamp loose, wiggle the MAS out of the inlet hose, but do not try to yank it out. You must first disconnect the harness to the MAS and remove the hold-down for the harness (marked with the X, see Step 8) on the front side of the box. 8. Using a pair of needle nose pliers, squeeze the sides of the tab together and work it down through the air filter housing to release the harness from the air filter box. 9. 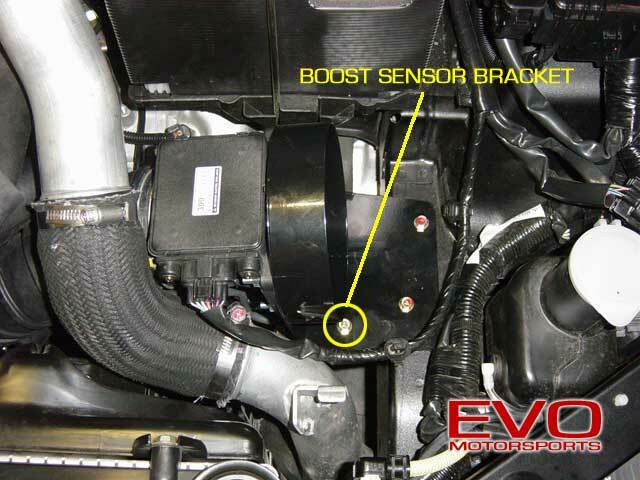 With the MAS harness disconnected and the loomed harness released from the lower air filter box, you may now pull the lower air filter box/MAS assembly out of the car. 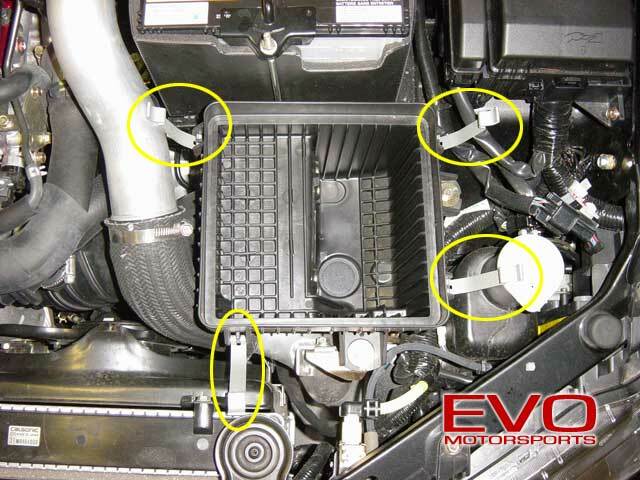 Now you must separate the MAS from the air filter box by removing the four (4) 10mm nuts holding it on. TECH TIP: Simply applying linear torque to a ratchet/wrench will cause the stud inside to break the plastic (see insert) and then simply spin free. An impact wrench would be ideal, but if a socket or wrench is all you have available, recreate an "impact action" with a solid, sharp hit to the ratchet/wrench to break the nuts free. 10. With the MAS successfully removed from the air filter box, make sure not to lose the gasket around the front of the MAS assembly. This is critical for a leak-free seal. Also, make sure not to bend any of the honeycomb material in the MAS screen. This is important for proper metering. 12. 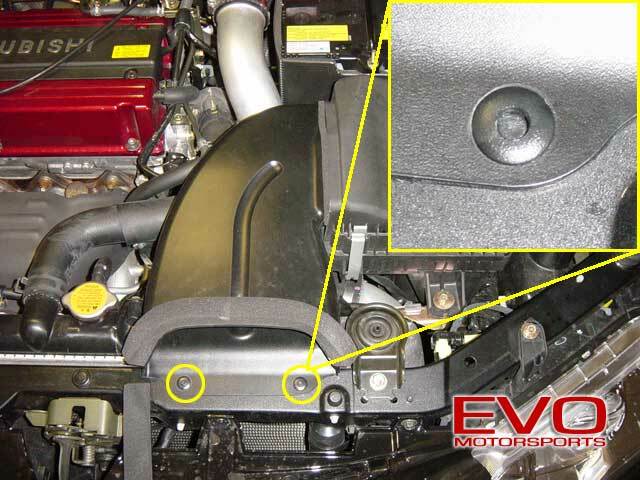 With the MAS properly mounted to the bracket, put it aside and get back under the hood. Remove the (1) 10mm bolt holding the boost sensor to the bracket and then remove the one (1) 10mm bolt holding the bracket to the car and the one (1) 12mm bolt holding the bracket to the IC pipe. There are two fasteners holding the IC sprayer water hose and a large wire loom to the bracket. Remove these using needle nose pliers to squeeze the tabs together while pushing them through the bracket. 13. Using the OEM 10mm bolt, reattach the boost sensor bracket to the new air filter bracket in the pre-drilled hole. 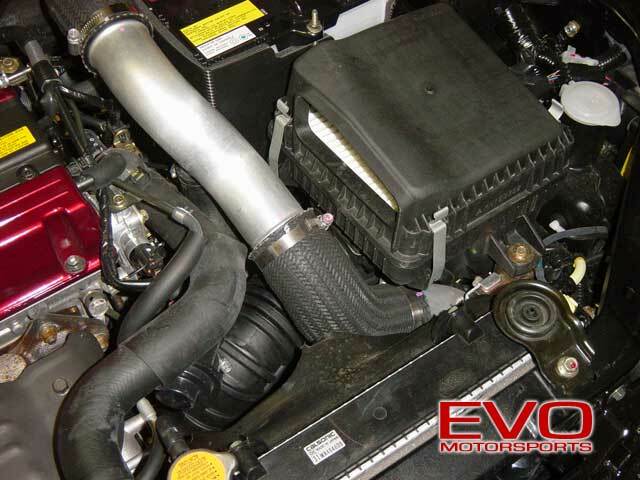 Make sure that the vacuum lines face the turbo inlet hose and that they do not crimp when installed. Insert the MAS into the intake tube and bolt the bracket to the car using the two (2) OEM 10mm bolts that held the removed OEM bracket in place. 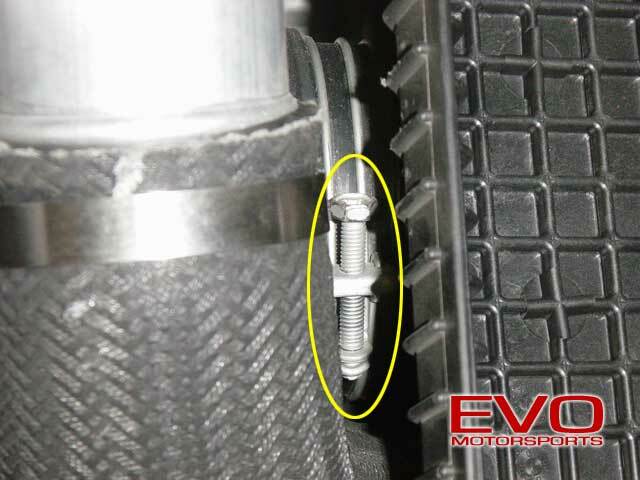 TECH TIP: Before reinstalling the MAS into the intake tube, remove the clamp that holds it on and reinstall it so the head of the screw is on the back side of the tube (near the battery), facing up. This will leave easy access should you ever need to remove the MAS/air filter bracket again. 14. Reconnect the MAS harness. 15. Install the filter onto the bracket using the supplied clamp. 16. 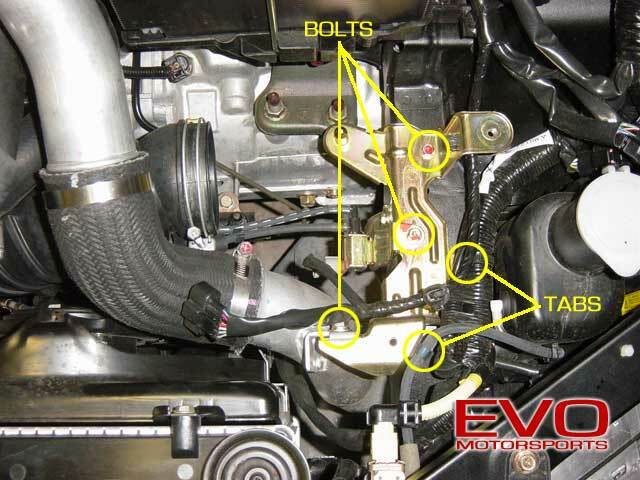 Reconnect the negative battery terminal, double-check all clamps, bolts, and the MAS connector and then start the car. Enjoy your new air filter!